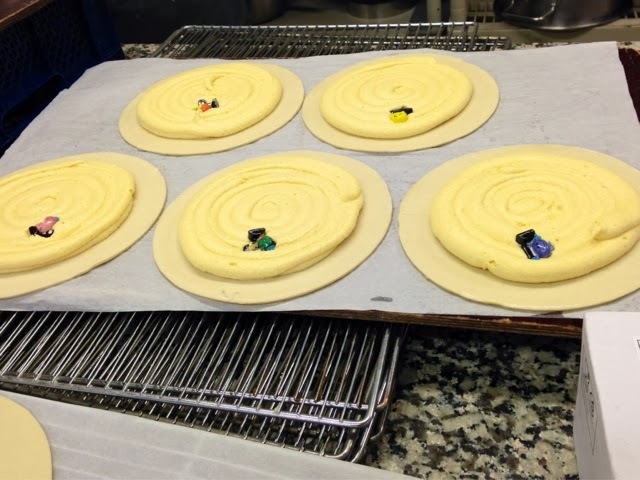 "Galette des Rois" would be best described as a sweet pie made of puff pastry and filled with an almond cream. It is traditionally eaten in order to celebrate the Epiphany (around the 6th of January.) Inside the galette a lucky charm is hidden (like a little toy made of ceramic) and whoever finds the charm becomes the king (or queen) and can wear a crown in honour. 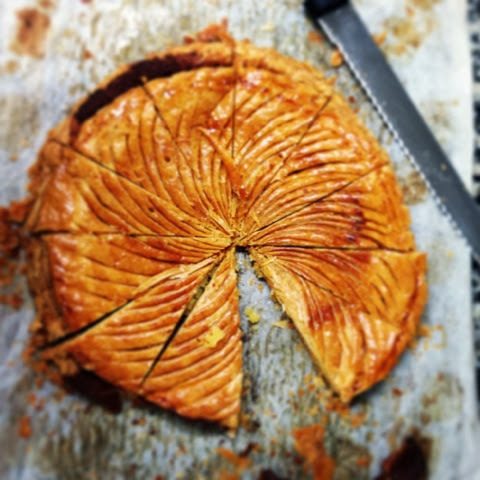 I have been making this galette for the past two weeks at work. It is post- Christmas season, it is now "galette" season. All other patisseries have been postponed for the time being. 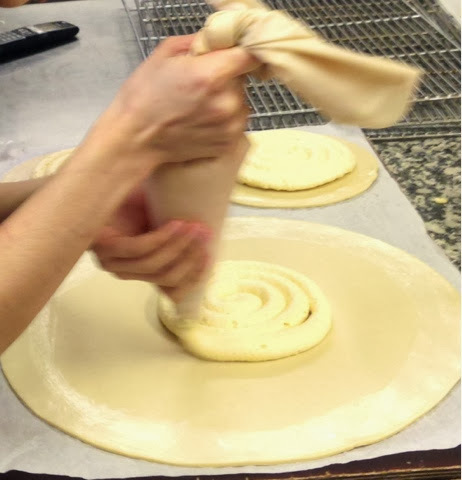 the almond cream is evenly distributed on the base layer of pastry. The lucky charm is placed inside. Water is painted around the edges in order for the upper layer to stick. 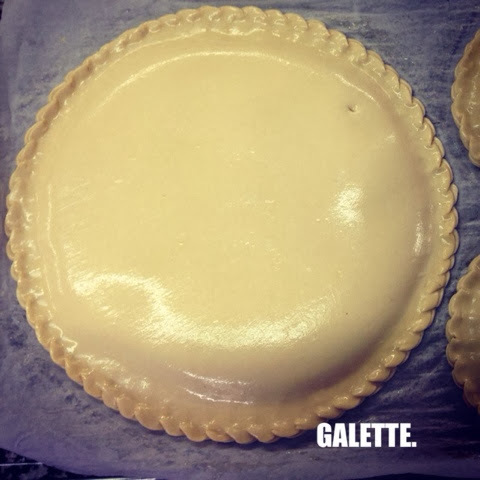 The galette is then closed with the upper layer and using a knife re-sealed together. 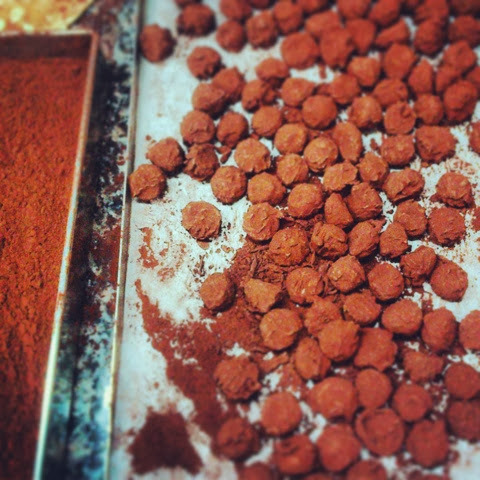 Posted on January 13, 2014 by Abigail Scheuer- Sarne and filed under paris and tagged fave pastrylife recipes pastry inspiration2.